Here’s an interesting freebie for model truck fans who can make a trip to the Netherlands next week. 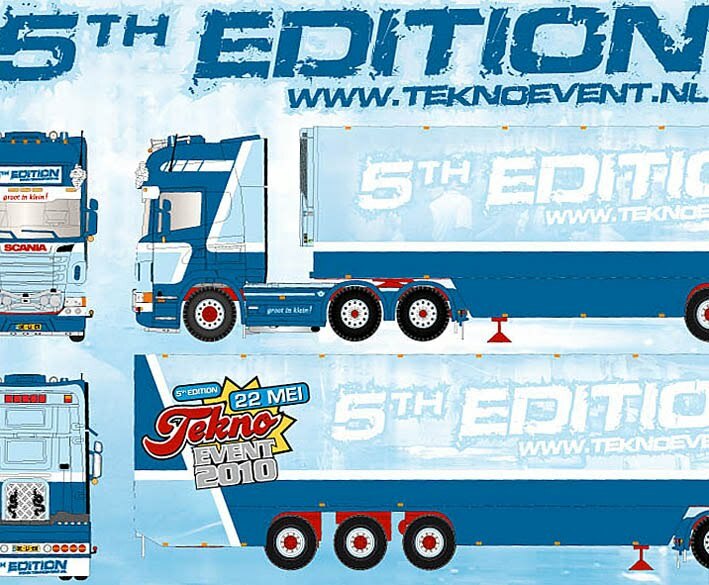 It’s the fifth Tekno Event, to be held at the Dutch diecast manufacturer’s HQ in De Lier, on Saturday, May 22. On the day, can have a chat to Tekno officials, browse through the wide-ranging Tekno Museum and best of all, get a closeup eyeball at the 100 or so full-size trucks that will be parked up for inspection. Most of these trucks on display will have been featured by Tekno as available models or ones slated for production. There will also be demos showing how Tekno’s models are planned and made, plus a fascinating video showing the production process in action. 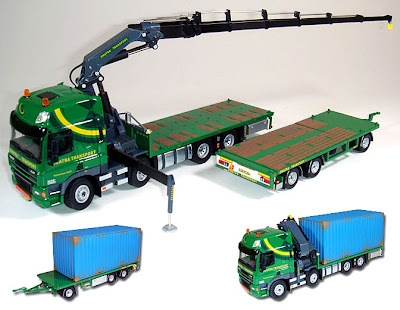 A Limited-Edition Event Special 1:50 scale Scania R620 truck will be available to purchase at 100 Euro ($125 USD) and these trucks will be available on the day only. Once they’re gone, they’re gone. The Event is open from 10.00-17.00 and parking is free. There’s lots more information at Tekno here. 1 The Limited Edition truck for sale on the day. 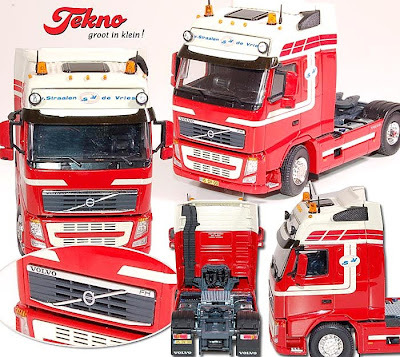 2 Neat Volvo 1:50 scale tractor. 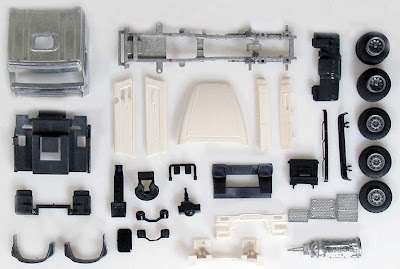 3 Tekno also supplies many of its trucks in kit form, with a mix of metal and plastic components. 4 Excellent detail and subtle weathering on one of the latest trucks. 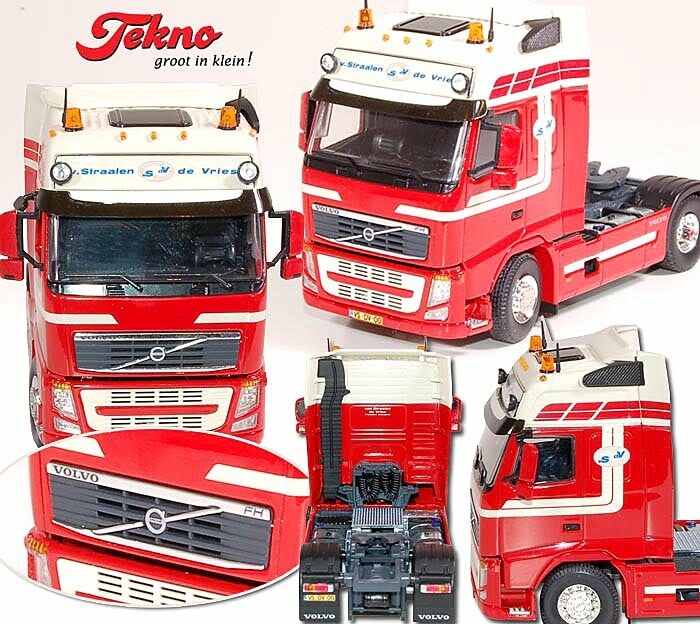 5 Retro-era trucks like this Scania are also made by Tekno.